I was reading someone's comment earlier today and they made this statement: "Would God put a lighthouse in the light or in the dark where it could do some good?" 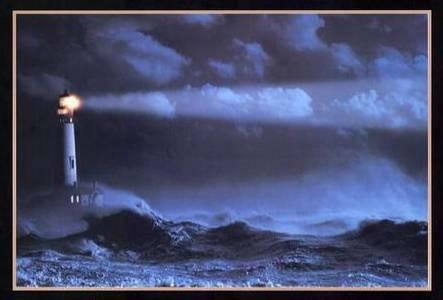 As Christians, we are like lighthouses that God has placed in the dark. When we get discouraged because of everything that is going around us, we need to remember that God has put us in this dark world for a reason. We are to let the light shine through us as a warning to those who are in the dark. thats a really great reminder, thanks.